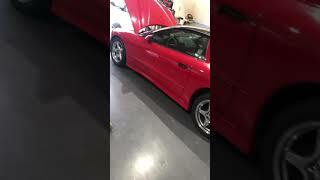 Hi, I am interested in your 1997 Pontiac Firebird Coupe listed on Autotrader for $12,900. I'd like to get more information about this vehicle and confirm its availability. EXTRAS:Set of Chrome Wheels/tires, Nose Mask (bra), Floor Mats, Dash Mat, RADAR DETECTOR !!! !